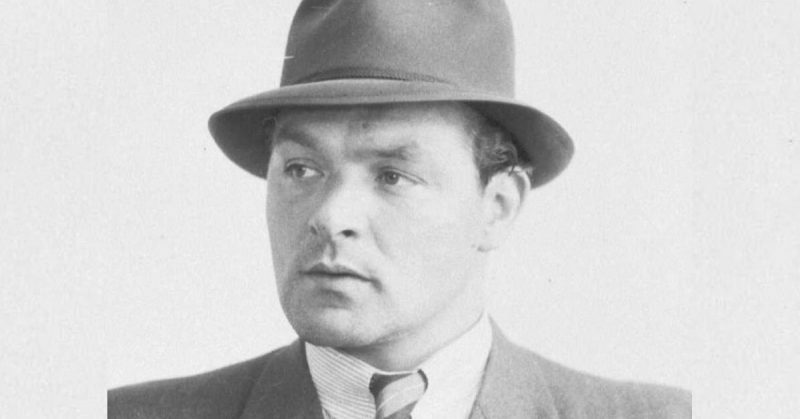 Bernardus Andries Riphagen, known as “the Dutch Al Capone,” was even more unscrupulous than his American gangster counterpart. The man was a criminal through and through. Riphagen’s fingers were in a lot of pies in the Dutch criminal underworld, from prostitution to extortion to murder. However, Riphagen conducted his most immoral activities during the Second World War. Anti-Semitism and especially his greed for riches impassioned him. After the German invasion of the Netherlands in May 1940, this dubious character saw his chance. He was a man who thrived in an environment where only the most deceitful or the most moral survived–Riphagen, unfortunately, chose the former course. 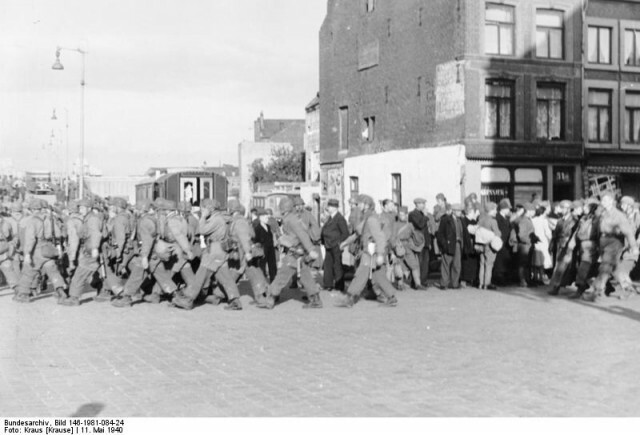 German troops on the march in Maastricht. When the Nazis commenced deporting Jews to death camps, a golden opportunity arose for Riphagen. This time his immorality and criminality would take on a completely different note: he decided to help the Germans capture Jews. He became a sort of Jew-hunter during the Nazi occupation of the Netherlands, which was one of the longest in Europe, lasting well into 1945. A man like Riphagen was far more dangerous than any regular Gestapo or SS man. He was flamboyant and quickly garnered trust from his victims. Most of all he was Dutch–in short, people believed the man from the moment he opened his mouth. 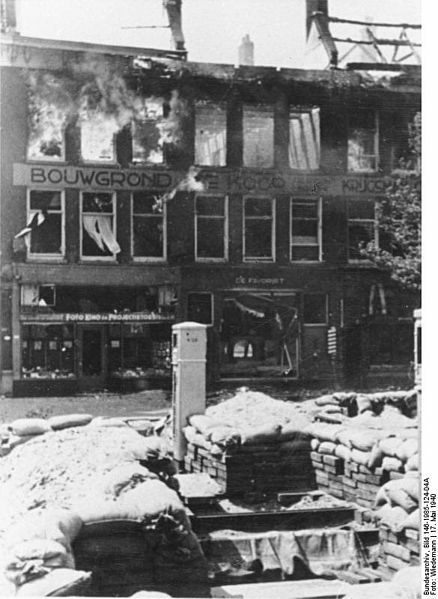 A Dutch defensive position, houses burn in the back because of the German Bombing. As a result, he managed to steal a massive fortune from unsuspecting Jews wanting to flee Nazi-occupied territory. Riphagen promised to help them. Moreover, he promised to look after their money and other precious items for when they returned after the war–only they never did. Instead, the people he allegedly purported to save ended up in the very places they wished to escape. According to estimates, Dries Riphagen was involved in the deaths of over two hundred people whose only mistake was to place their trust in a man who was nothing more than a vile criminal without a shred of empathy for his fellow man and woman. How did such a person ever exist? Moreover, how did we not know much about him until two Dutch journalists, Bart Middelburg and René ter Steege, published their book “Al Capone,” One of the Netherlands’ Greatest War Criminals and shed some much-needed light on the matter? It was thanks to lengthy interviews with Dries Riphagen’s son that the book was even possible and became such a success. In 2016, six years after the publication of the book, the Dutch movie director Pieter Kuijpers decided to bring Dries Riphagen to the TV screen, with Jeroen van Koninsbrugge playing Riphagen. Riphagen was a secretive man. No matter how shocking his activities were during the war, not many people knew about them. 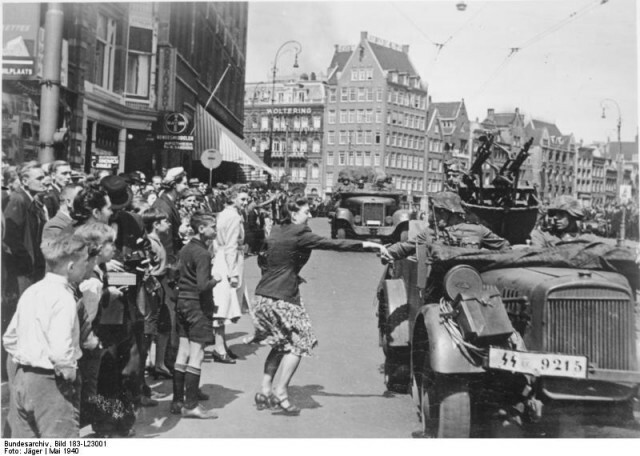 The Dutch always considered themselves morally superior to the Nazis, and Dutch collaborators received their dues the moment the country was liberated. So, finding out that a man on par with the likes of some of the vilest Nazis criminals had been living in their midst came as quite a shock to the Dutch. 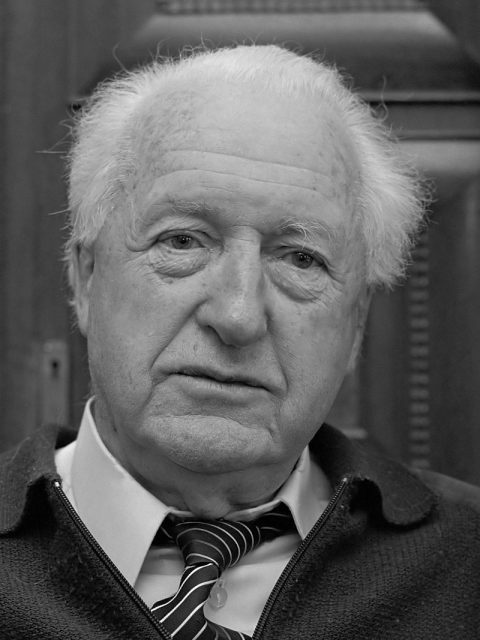 Dries Riphagen was born on September 7, 1909, in the Quellijnstraat in Amsterdam. His mother died when he was six years old, and his father remarried not long after that. Riphagen’s family lived in great poverty. In his younger years, he did not have it easy because his father was an alcoholic who beat him regularly. By the time Riphagen was 14, he had entered the well-respected commercial naval training academy “Pollux” where he stayed from 1923 to 1924. There, the young Riphagen trained to become an able-bodied sailor like his father. After his training, he then joined the crew of a merchant ship and sailed the seas. His time at sea came to an end when he reached the country of limitless opportunity. Always the swashbuckler, Riphagen was lured in by the American dream like a moth to a flame. He spent two years in the United States, first working for Standard Oil and then getting in touch with local criminal groups. That was how he learned about crime the American way. 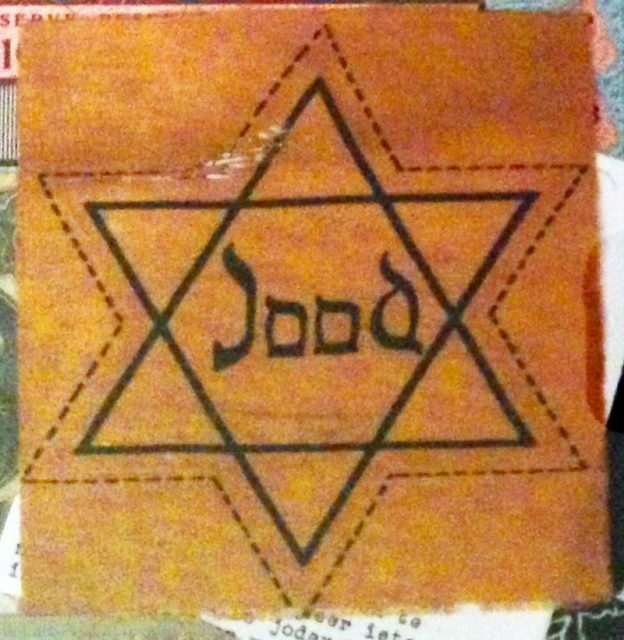 Upon his return from the US, Riphagen joined the National Socialist Nederlandsche Arbeiderspartij (NSNAP), an extremely anti-Semitic peripheral party, with the goal that the Netherlands would become a province of the Third Reich. At the same time, Riphagen wanted to apply what he had learned in the US to the Netherlands. He soon became one of the leading figures in the Amsterdam underworld. He soon had brothels in the Amsterdam Red-light District, ran protection rackets, and stole cars. “Everyone was scared of him,” said Bart Middelburg, a fellow criminal of the period, when the two co-authors of the aforementioned book interviewed him. “He was a very strong guy and a fighter as well. If he didn’t like something about you, he would punch you without hesitation,” continued Middelburg. When WWII broke out, Riphagen was thirty years old. Always the opportunist, Riphagen saw the German occupation as an excellent chance to earn even more money. He soon carved out for himself a lucrative position by collaborating with the German Sicherheitsdienst (Security Service) and became an important informant for the Nazis. During this period, he expanded his area of influence all the way to The Hague. 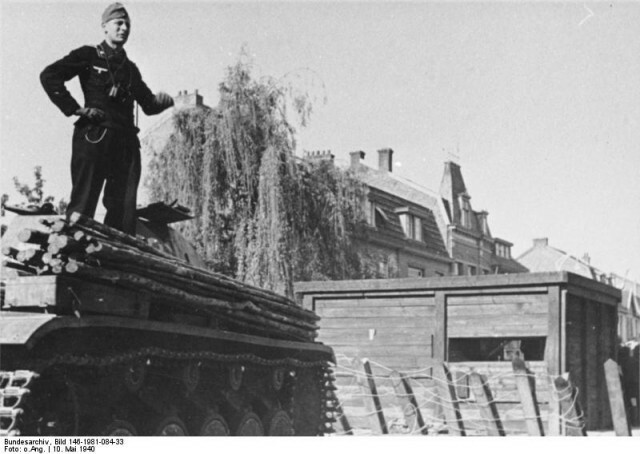 A German tank in front of an anti-tank obstacle, Netherlands. Riphagen took advantage of the anti-Jewish measures by hunting down Jews in hiding with a passion. At last, he could combine his two favorite things: Jew-hunting and the amassment of riches. He was handsomely rewarded by the Nazi occupiers with Kopgeld (a bounty) of anywhere from 2.50 to 40 Dutch guilders for every captured Jew. As we have already seen, the infamous Dutchman also managed to get his hands on a lot of money from his Jewish compatriots by telling them that he would protect them if they handed over cash, jewelry or art. Once he had the articles he so coveted, he promptly betrayed his so-called charges to the Nazi authorities. 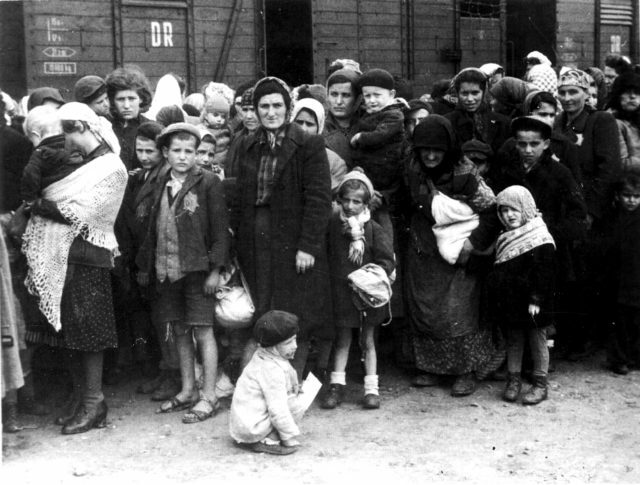 It was estimated that Riphagen was personally responsible for the deportation of more than 200 Jews. Furthermore, he managed to squirrel away a fortune in Swiss and Luxembourg vaults. To top off his despicable behavior, Riphagen really did take on the mantle of the Nazis when he seized a luxurious house belonging to a Jewish woman after promising her that he would arrange for her escape to England. The moment she was deported, he moved in with his wife Greetje and his son Rob. After the war, Dries Riphagen was wanted for crimes against humanity. However, the Allies and the newly installed Dutch authorities were not sure of his true identity at first. Only one man of authority knew of the Dutch criminal’s involvement with the Nazis, but he had another agenda. Riphagen made contact with Willem Evert Sanders, a former resistance fighter and the new police chief. Riphagen offered him a deal. Instead of placing Riphagen under formal arrest, Sanders sought to keep Riphagen as a hidden detainee in his house and exchange information with him about Dutch collaborators and Dutch German-minded networks. Sanders in 1986. Photo: Rob Bogaerts / Anefo – Nationaal Archief. Always as slippery as an eel, in February 1946 Riphagen escaped, leaving his wife and son behind without a second thought. Rumor has it that his underworld friends smuggled him across the border in a hearse. 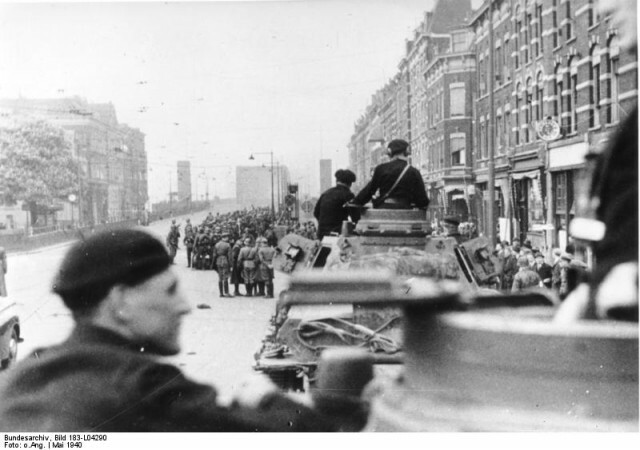 Another theory is that two Dutch secret service men, Frits and Piet Kerkhoven, organized his escape to Belgium with a hearse. From Belgium, he spent three months traveling to Spain by bicycle. When Riphagen reached Spain in May 1946, the authorities in Huesca stopped him due to a lack of necessary identification. He was imprisoned, but again luck never left him. He was released on bail with the help of a Jesuit priest. Shortly after that, Frits Kerkhoven gave him clothes and shoes in which were hidden the necessary papers as well as diamonds that Riphagen had previously left with Kerkhoven. When justice finally discovered his location in Madrid, Riphagen flew to Argentina with a friend on March 21, 1948. The Dutch ambassador to Buenos Aires at the time, Floris Carcilius Anne Baron van Pallandt, filed an extradition request. However, it was denied by the Argentina Judicial Authorities due to a lack of evidence–again, the criminal against humanity got away scot-free. Riphagen was never extradited to the Netherlands. Always gregariously silver-tongued, he maintained friends in high places. One was a member of the Argentine Supreme Court, Rodolfo Valenzuela, who also served as secretary to President Juan Perón. Thanks to Valenzuela, Riphagen soon befriended the presidential couple. He kept in close contact with Perón until his death. Belgrano, a district of Buenos Aires, soon became his home where he ran a photo-press business. Also, he supported the Perón secret service whenever he could. When Perón was removed from power, Riphagen returned to Europe where he spent his time traveling, especially in Spain, Switzerland, and Germany. He kept the company of wealthy women who could support his expensive tastes and continued to talk his way through life. His last known address was in Madrid. Finally, in 1973 Dries Riphagen, probably the worst war criminal in Amsterdam, died of cancer in Montreux, Switzerland.